Set up an approach in seconds! Put yourself on approach to any runway in the world in about the time it takes to read this sentence! set up on the 'Downwind Leg' of a left or right traffic pattern. Your choice! Since I first got XPlane 10 I have always enjoyed the 10 mile and 3 mile approach function. Great fun but sometimes you can set a ten mile approach to an airport and be on the other side of a mountain with little or no room to gain height to get over it. That can make for some tense moments. 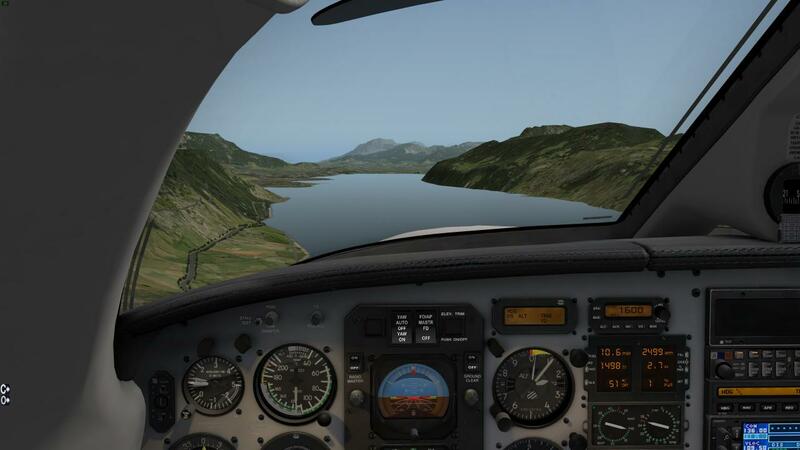 One of my favourite approaches is into Chambery LFLB, a nice alt of 5000 to capture the ILS and threading your way between mountains to fly over the lake to the runway. Through trial and error and judicious use of the XPlane local map I have been able to create a situation where I am on a heading to capture the ILS. Whilst not an ideal method it does work although if you use a high end study level aircraft it might not work because of the need to make sure the POS INIT has been completed correctly as well as numerous other factors. Now we have FS Instant Approach Pro developed by those nice people in Caerleon, S Wales who brought us FSFlyingschool for XPlane 10 , www.FSInventions.com I met Jeff Preston some years ago when I organised South Wales First Flight Simulator Show in Cardiff, and I thought then what a thoroughly decent chap he is. FS Instant Approach is a curious application and I have to say at first glance one wonders if it’s really necessary or is it just a vanity product, but the more I used it the more I could see the value of it. 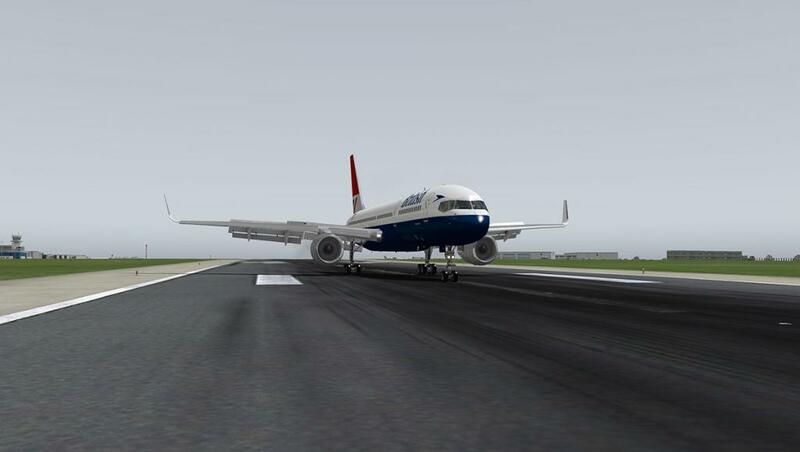 I think where it comes into its own is that you can practice approaches at airports you might be flying into for the first time and you want to practice the approach beforehand, especially useful if say you’re doing a group flight online on the VATSIM or IVAO networks. Installation in the xplane environment is getting easier and easier and FSInstant Approach PRO has an installer making it easier again. Don’t forget of course to run the installation as an administrator by right clicking on the installer and selecting compatibility mode and then administrator. You just point the program to where your XPlane installation is and away you go. One thing you do need to do is download an application/plug-in from Sandy Barbour for the whole thing to work but the developers have made that simple also. You just click on a button the program seeks the plug-in and installs it for you and when I say it only takes seconds to do this it really is only a matter of seconds. So now it would appear we are good to go. Just one final thing and we can set up an instant approach. The final action at this point is to allow FSIApro to create a database of runways but once again this is done very quickly and simply by clicking a button. First you have to set up your aircraft either on the grd or in the air. I used my Flight Factor 757 at EGFF, I chose the 757 because it is a systems complex airliner and I wanted to see if FSIAPro would work with such a complex aircraft. So I loaded up on the threshold of rwy 12 and began to program the aircraft as if I was doing a flight up to the BCN Vor with a Standard Instrument Departure (SID) and back to EGFF. I set the MCP for 3000ft alt with a speed of 180kts. Finally I inputted the ILS frequency of 110.70 and the course of 121. 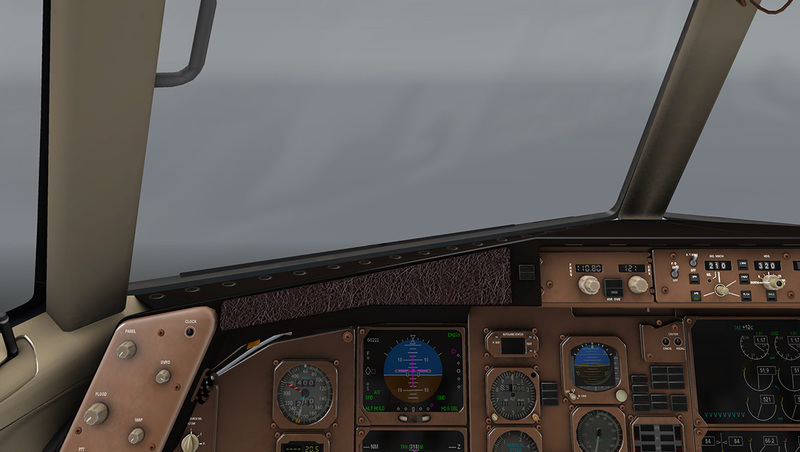 So my aircraft was all set up and then I made sure I saved that in my FMC. The next thing to do is load up FSIApro and begin configuring it for your instant approach. I know at this point it’s not sounding that instant but for anyone who has flown high level aircraft, you well know it is hard to just throw them up in the air where you want and expect them to fly, in the main the systems are to complex and the aircraft needs programming for flight. Downwind, which would be commonly used for VFR flights or ILS approaches. Unfortunately there is no ability to create an approach such as a NDB/DME procedural approach. Once you have everything set up, which can be quite quick once you have gone through the process a couple of times its time to fly. Let the fun begin. This next bit is a little cumbersome and if I have one niggle it is this. I am sure this could all have been achieved with a one click process but instead we have a process that is in my view a little clunky. 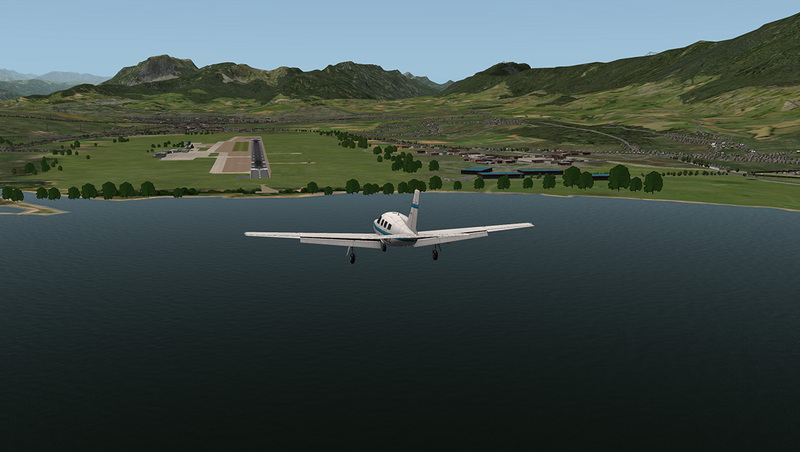 - Press Ctrl Shift C to open the 'Position Aircraft' Control Panel within X-Plane. - Press Ctrl Shift Q to quick load the approach file you created into the Position Aircraft plugin. 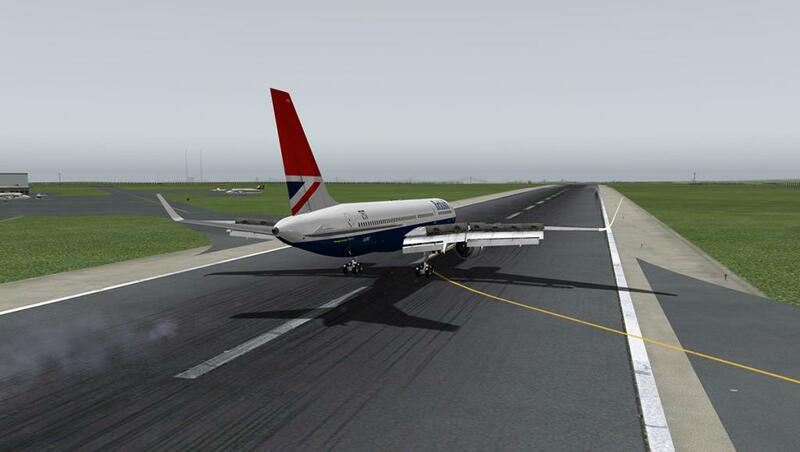 - Press Ctrl Shift P to position the aircraft ready to fly the approach you just created with FS Instant Approach. Beware though because when you make that final key press your aircraft will be moved to the position you created and flying, it happens rather quickly and if you’re not ready it can take you by surprise to suddenly be in the air approaching your airfield of choice. I must admit the first time I did this is did catch me by surprise and because I hadn’t got the 757 set up correctly there where bells and lights flashing and ringing it was all rather disconcerting, also I hadn’t realised that the real world weather would also be loaded so it was rather grey and with vis quite low. These are things we might be used to when flying into an airfield from some distance and you have had time to check weather et, but when it happens instantly before your eyes it can be a little stress inducing. 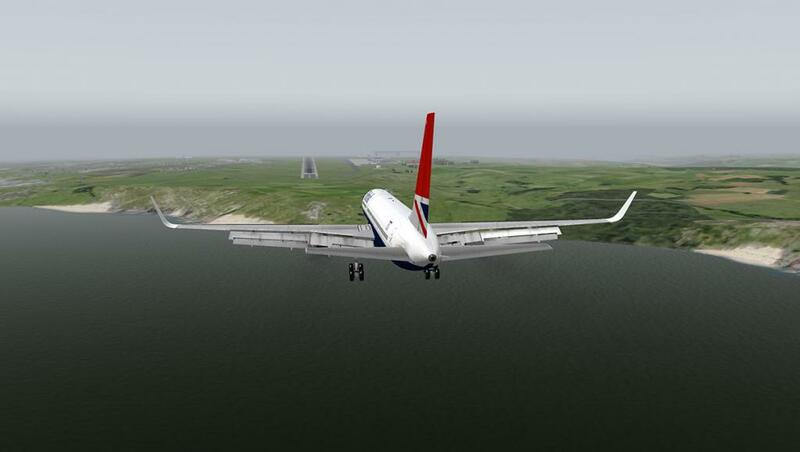 So a perfectly executed ILS approach into EGFF rwy 12. I started this review by saying that I wasn’t to convinced that this is a vital piece of software to purchase but on reflection and after using it several times I have to say I have changed me view and I think for the cost and at a just under £10 why would you not buy it. 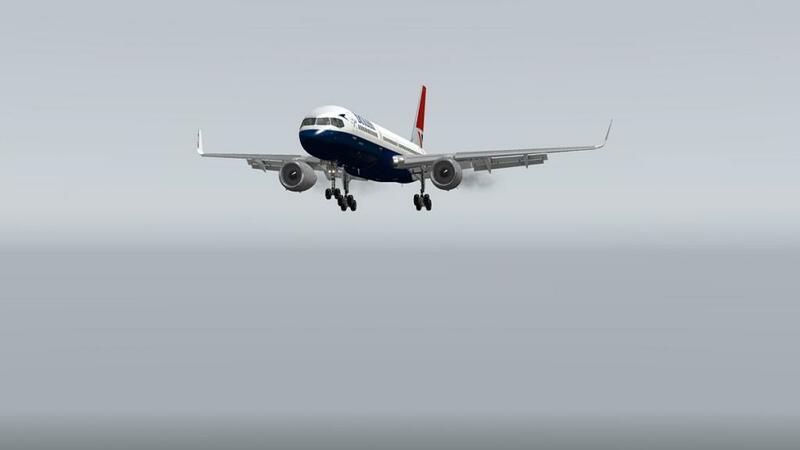 The ability to set approaches into any airport in the world (xplane world) whether it be ILS, VFR or Downwind is unique in the flight sim world. I do have a couple of complaints which I mentioned earlier and that is the initiation process of actually loading the Instant approach once you have configured everything, I’m still convinced that could be done via a one click process and also the actual configuring of an approach under the flightplan button can be a little confusing. It is not an insurmountable problem and as I say after a few uses of the program it all becomes second nature. Jeff Preston and John paul Jones with the help of Ole Andreason and Joe Minellono have produced a package unique in the flight sim world, I can think of no other program that achives this either in Xplane or FSX the addition of Sandy Barbours Position Aircraft Plugin is inspired and shows how the best way of developing is to get a team around you, who can help achieve your vision. Well done all, it’s grand job well done, as we say up North. 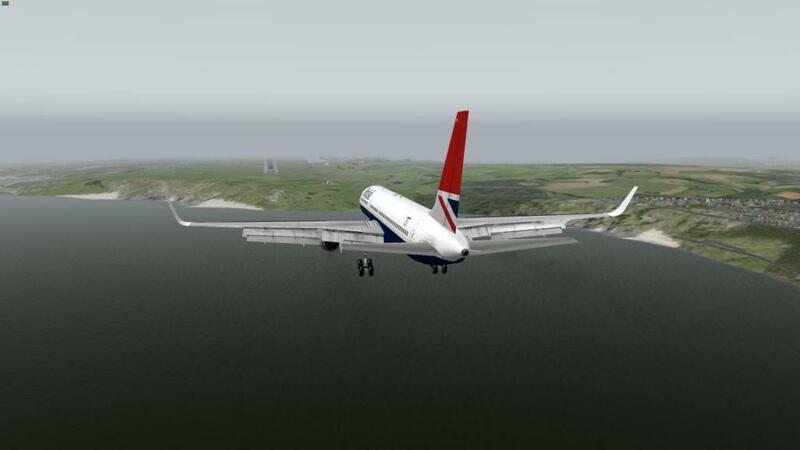 (I was born in Bolton Lancashire) and after many uses of this application I highly recommend it for the Xplane user. 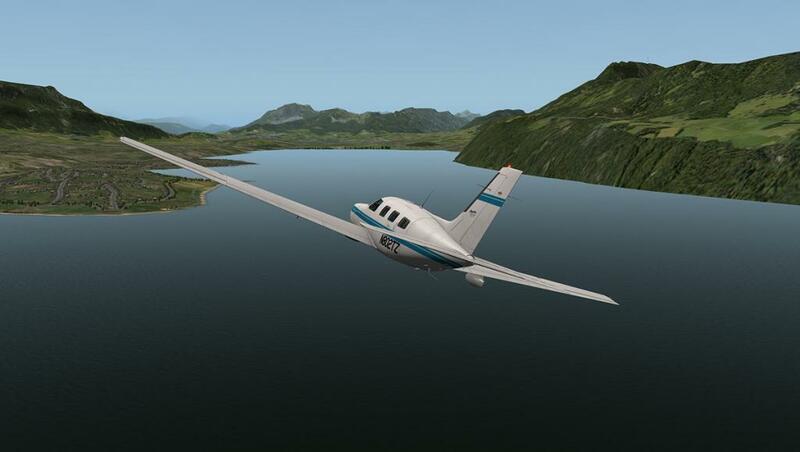 FS Instant Approach PRO recommends a PC well equipped to run the version of X-Plane 10 you have selected. 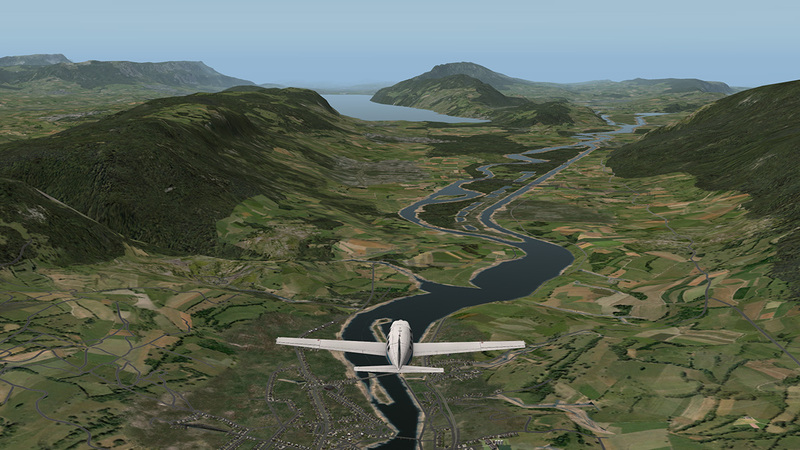 If the PC can run X-Plane 10 at a good pace, without problems, FS Instant Approach PRO will run fine with it. 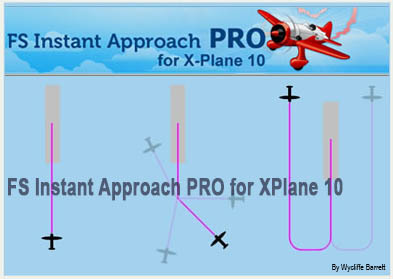 If the PC is struggling to run X-Plane 10, then FS Instant Approach PRO will be unable to give its best performance.